Is Hawken Locksmith Services licensed and insured? Absolutely, Illinois License #191-000873. And we carry $1,000,000 in liability insurance. Are you a commercial locksmith? You can learn more about our commercial or business locksmith services here, but they include pretty much anything dealing with access control, file cabinets, mailboxes, CCTV, safes, vaults, entrance & exit hardware, broken or stuck keys, locks, doors, automobiles and more. We work with rental units, property managers, homeowner’s associations, contractors, builders, fire compliance, retailers, manufacturers, realtors, schools, police departments and much more. Are you a residential locksmith? You can learn more about our auto and residential/home locksmith services here, but they include pretty much anything related to locks, keys, antiques, safes, broken or stuck key in the ignition, rekeying, deadbolt installation, hardware replacement, lockouts, physical security updates, and more. We work with homeowners, landlords, condo owners, renters, and others as long as you can provide proof of residence or ownership. Rekeying is the process of replacing tumblers (pins) in an existing lock cylinder so that it will take a new key and the old one will no longer work. Rekeying your existing locks is almost always the least expensive way to deal with lost keys, security issues or making locks operate with the same key. You should purchase new locks only if yours are not in good condition or you want to upgrade the appearance or quality of locks. If you have good quality locks, most of the time repairs can be done without replacement of the whole lock. Can I have one master key for ALL my locks? Yes, they can be keyed alike if they are all the same brand of lock. You can test this by trying the common key in each lock and if it will go in (even if it will not turn) it can be done. Otherwise, you may have to purchase a few new locks of the same kind. What does Emergency Locksmith Service mean? In most cases, we make our emergency locksmith services available 24 hours a day. Fees are slightly higher for these emergency services. Our phones are ALWAYS on to answer your questions, provide you an accurate quote for emergency services or to schedule services for a later date or time. Do you require proof of residence or ownership before you open my home, business, automobile or safe? Yes. Not only is an ethical requirement for any legitimate locksmith, it’s also the law in Illinois according to The Private Detective, Private Alarm, Private Security And Locksmith Act Of 1993. Of course, we understand there may be situations where proper I.D. or documentation may not be readily available, we can almost always accommodate you and still follow the letter of the law. Never trust a “locksmith” that doesn’t check I.D. Not only is he/she breaking the law but diminishing the security that many people take for granted. I recently had a key copied at a local big box store for the 3rd time and it still doesn't work! Do I need to replace my locks? Absolutely not. Chances are that the key you are copying has been duplicated too many times at one of these big box/hardware stores on poorly adjusted machines by untrained staff leaving you with a key that works poorly or not at all. We can gauge your key and cut a new one by this code that will be the same as the day the lock was manufactured. We can also rekey your locks and provide you with factory new keys to ensure that everything works as it should. Does Hawken Locksmith Services warranty their work? Yes. All repair or installation work is warranted for a period of 30 days. In our effort to provide locksmith services of the highest competence and quality we are committed to making every effort to maintaining our customers satisfaction. If you’re like most people, you have a big investment in your automobile. In years gone by, almost anyone could open a locked car using only one tool. It only took a second or two. Today, however, automakers have really tightened up the security of almost every car on the road. This means that a trained professional must have dozens of tools and techniques in order your car with no damage. Today’s locksmith owns hundreds of dollars worth of tools and books on car opening. That is why he or she must charge a fair price to open your car. When you call a locksmith a trained professional responds to your call. He or she arrives in a service vehicle stocked with thousands of dollars worth of tools and machinery, ready for any emergency. In many towns, the police no longer will respond to lockouts unless it is a dire emergency. The more informed police departments do not want to risk doing hundreds of dollars of damage to your car. When you call the police, a tow truck driver, or any other unskilled person to unlock your car… you risk unnecessary damage to your vehicle. Police rarely have all the tools or special training needed to open your car without damage. Locksmiths are trained professionals that use finesse, not force. A botched car opening job can easily do $350.00 worth of damage to the inside of the door panel. In a true emergency (child locked in car, etc. ), call the police. 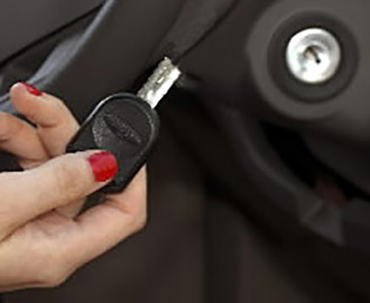 Plus many locksmiths will open your car quickly, and at no charge. I recently moved into a new house. The family we purchased the house from seemed like wonderful people. Should we still have the locks re-keyed? Absolutely! The family may be trustworthy, but you can never be sure how many keys have been passed out or lost over the years. Contractors, dog walkers, neighbors, crazy uncle Bob, the key that went missing from under the welcome mat, etc. All of these could put you and your family’s safety, security, and property at risk. 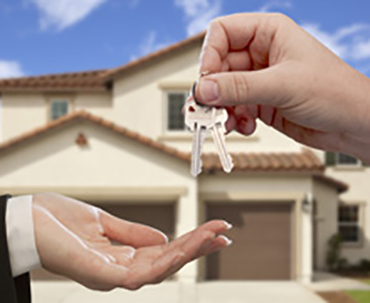 Read our full article about why you need new locks and keys when buying a new home here. What does it take to become a professionally licensed locksmith? In Illinois you are required to pass a background check, be fingerprinted by the Illinois State Police, pass a comprehensive exam administered by the State and continuously maintain $1,000,000.00 in liability insurance. These are only the minimums that are required in Illinois. Most locksmiths have years, if not decades, of hands-on experience and have attended many technical classes and workshops in order to keep up with the latest in the security industry. Even though there are many rules and regulations are in place in an attempt to ensure you and your families safety and security when you call for the assistance of a locksmith, keep in mind the industry is flooded with low cost, unlicensed, uninsured “locksmiths” with no training and dubious backgrounds and intent. Always ask for proof of licensure to protect yourself!